Roasting butternut squash gives this soup intense and balanced flavor. But even I have to admit, those variations probably aren't what most people are hoping for when they seek out butternut squash soup recipes. Heck, they're not even what I'm expecting most of the time. So it's time to tackle the real-deal version. You know the one: It's sweet, silky-smooth, and lightly spiced—about as close to pumpkin pie in a bowl as you can get without having to admit that you're eating dessert. You can garnish it with anything you please, but a dollop of whipped cream (or an enormous mound, as I'm prone to do) is the true sweet spot. For the most part, the method is as simple and straightforward as any puréed vegetable soup: Start by sweating aromatics, add your main ingredient and any seasonings you want, then purée. Sure, there are a few more details here and there, but you get the idea. The key with butternut squash soup is to take every opportunity to enhance and accent the squash's natural sweetness, without resorting to cheats like adding sugar. (For the record, I have nothing against adding sugar when needed, but I try to make my ingredients work for me first, only correcting with adjuncts as a last resort.) That means dicing the squash to maximize its surface area, then roasting it for a long time. I can't stress this last point enough. The more deeply you can brown the squash in the oven, the more intense and caramelized its flavor will be. And since there's no real risk of overcooking the squash, aside from flat-out burning it, you can let it go as long as necessary to hit your target. Roasting the squash until very deeply browned is the secret to bringing out its sweetness. For this recipe, I add some diced carrots to the squash. In most puréed vegetable soups, I'd just cook the carrots with the rest of my mirepoix and aromatics, right in the soup pot. But since butternut squash soup is all about sweet roasted flavor, I opted to capitalize on the carrot's browning power, too. The rest of the steps are fairly simple. I begin by melting butter in a large saucepan, waiting until it browns lightly before adding sliced onions and garlic, which I cook until softened and lightly golden. Browning the butter adds a nutty richness that enhances the sweet squash flavor, while giving the onions and garlic a little color builds their sweetness as well. Then I add the deeply roasted squash and some chicken or vegetable stock (I'll even deglaze the baking sheet used for roasting the squash with some stock to pick up any caramelized bits), and simmer it all together with thyme and a bay leaf until all the vegetables and herbs are very soft. Blending the soup is the final step. 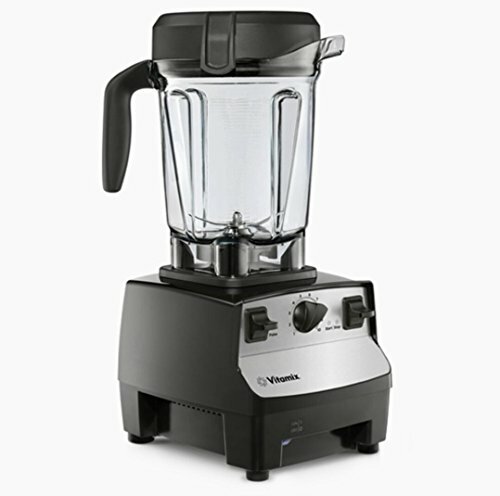 You can make any blender work for this, even low-powered ones or hand blenders that leave the texture a little bit chunky; passing the soup through a fine-mesh strainer can help smooth things out somewhat. For the smoothest texture, though, a high-powered blender is the way to go. I partly hate writing that, because I know how expensive the good blenders are—it's an investment that can more than sting. But I've also been cooking for enough years now to know that there's no match for the smooth, silky textures you can achieve in a high-powered blender. I garnish my soup with a pinch of both cinnamon and nutmeg for some classic warm spice. I also add a dollop of heavy cream whipped with some sour cream, to introduce just a hint of bright tanginess that contrasts with all the sweet, nutty, earthy flavor. Top it with a few crispy leaves of fresh sage frizzled in hot butter, and you've got the Platonic ideal of a wintertime bowl of soup. It's okay to embrace its familiarity—after all, there's a reason some things become so popular.